Hop in! The bold illustrations and playful sound words in this board books with die-cut pages will beckon to preschoolers who love things that go. What could be more fun than an old-fashioned train ride? Off go the passengers, past the town, into the woods (SHHH, SHHH), over the bridge (CLACK, CLACK), into the tunnel (TOOT, TOOT), and back out into the sunshine. Who could guess that the destination is—a day at the seaside? 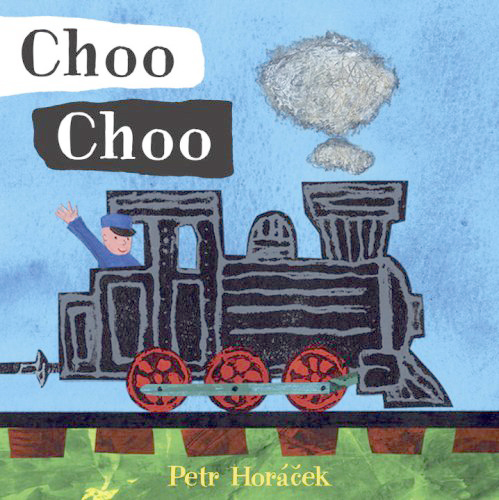 Board book, 16 pages, 6 1/2 x 6 1/2", all color images. Ages 2-5 years.